Paranormal enthusiasts know that the best reason to visit the Hotel Congress in Tuscon is for Room 242, which is the hotel’s haunted room. 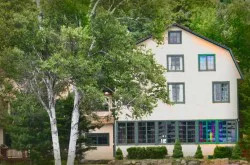 Built in 1919, the old hotel played host to a number of guests over the years, but history buffs know the hotel because police once captured infamous bank robber John Dillinger there. Room 242, sometimes called the suicide room, was where a guest checked in and never checked out. The young woman checked into the room, but when concerned staff called the police over her odd and unusual actions, she decided to shoot herself. Some say the mark her bullet made is still in the wall. Just down the hall is Room 214 when a young man killed himself in much the same way just a few years later. 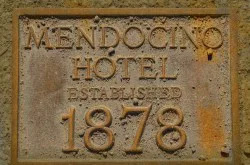 Others who died in the hotel include a guest who resided there for more than 30 years before passing away of a heart attack and a former soldier. 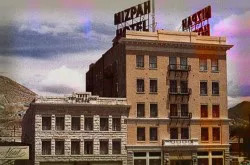 Cold spots are common throughout the hotel and especially in Room 242, which is also where some see the ghost of a young woman. Guests staying in the room often suffer from nightmares and awake to the feeling that someone is watching them. Visitors also saw the spirit of a man in a World War II era uniform in the bar, what looks like a hand print made in blood on the wall a woman in a black dress. 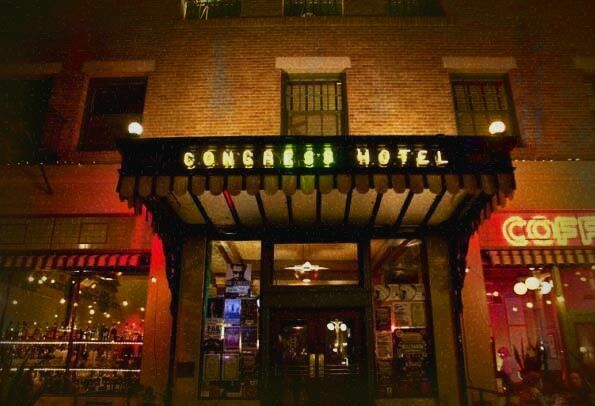 With so many different types of activities, it’s no wonder many consider the Hotel Congress the nation’s most haunted hotel.